SUBHEAD: The Deep State is fracturing because its narratives no longer align with the evidence. 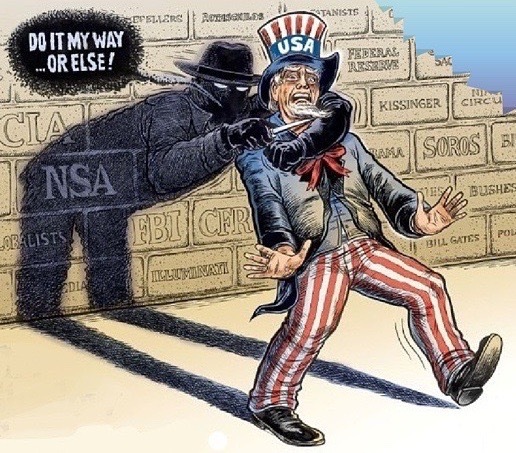 Image above: Cartoon by Ben Garrison of NSA mugging Uncle Sam in front of wall of Deep State. From (https://s-media-cache-ak0.pinimg.com/736x/de/c5/87/dec587caa4556d5a2c43de0cced13f4f.jpg). As data from Google Trends illustrates, interest in the Deep State has increased by a hundred fold in 2017. The term/topic has clearly moved from the specialist realm to the mainstream. 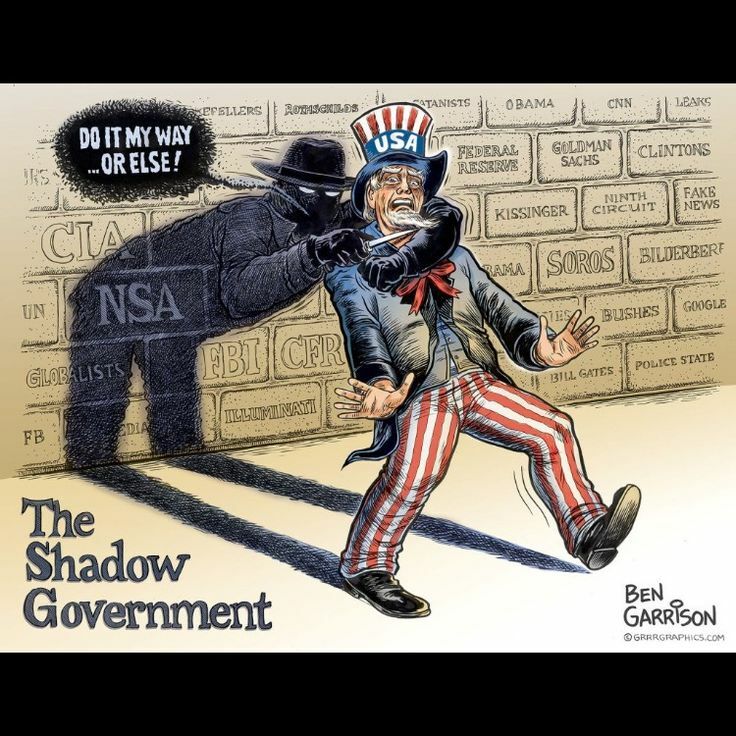 I've been writing about the Deep State, and specifically, the fractures in the Deep State, for years. The New Yorker is right about one thing--the Deep State is not a "conspiracy:" it is a vast machine of control that is largely impervious to the views or demands of elected representatives or the American people. The key to understanding this social-political-economic control is to grasp that control of the narratives, expertise and authority is control of everything. Allow me to illustrate how this works. For example: because Iraq has weapons of mass destruction (WMD), the future promises the terrible likelihood (more than a possibility, given Iraqi deployment of poison gas in the Iraq-Iran War) that America or its allies will be devastated by Iraqi weapons of mass destruction. This teleology leads to the inescapable need to eliminate Iraq's weapons of mass destruction by any means necessary, and remove the political will to use them by removing Iraq's leader from power. Politicos and senior administrators rely on expertise and authority as the basis of deciding whether something is accurate and actionable. Professional specialists are assumed to have the highest available levels of expertise, and their position in institutions that embody the highest authority give their conclusions the additional weight of being authoritative. The experts' conclusion doesn't just carry the weight of expertise, it has been reviewed by senior officials of the institution, and so it also carries the weight of institutional authority. This is why the Deep State is fracturing: the expertise and authority of its nodes are delaminating because its narratives no longer align with the evidence. If various Security Agencies sign off on the narrative that "Russia hacked our election" (a nonsense claim from the start, given the absurd imprecision of the "hacking"--hacking into what? Voting machines? Electoral tallies? ), and that narrative is evidence-free and fact-free, i.e. false, then the expertise and authority of those agencies comes into legitimate question. Enjoyed your article on consciousness but do have a question for you. In Jefferson's paternalistic style, when one understands that controlling perception is key, what would an individual, that has woken up to Life, offer to his/her 'followers' that will foster a pathway to a more Life affirming perception. imho it would seem that offering information/direction on Life affirming pathways (articles) to be the most congruent with Life affirming social constructs. Speaking to your ego, since human beings are perceptually creative, this article (and others on your website) leads individuals into a 'black swan' perception. imho articles like these keep people's consciousness mired in conspiratorial and judgmental perceptions. I'm no stranger to this tendency but am consciously aware, at times after the fact, that the information I have offered others did little to help facilitate positive change but over time I have increasingly gained prior awareness of my directional actions before stepping in that direction. Your readership might decrease by moving in this direction, but increased global wholistic rewards, even if currently unseen, will be generated.